Historical Fiction and Short Story Author---Katrina Parker Williams is a former English Instructor at a community college. She is a Barton College graduate with a B.S. in Communications and a Masters of Education in English from East Carolina University. She is also the author of several fictional novels, short story collections, and short stories. Her works have appeared in Charlotte Viewpoint, Muscadine Lines, Usadeepsouth, and on the Wilson Community College website. Her writings have also been published at The Saints’ Placenta, All Things Girl, Dead Mule School of Southern Literature, Patchwork Path: Treasure Box, and Pens on Fire. 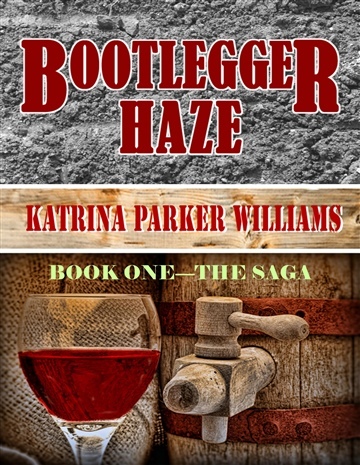 Her most recent works are Bootlegger Haze (The Saga)-- Book One and Bootlegger Haze (The Legacy)-- Book Two available at Amazon, Barnes and Noble, iBookstore, and Kobo.